After job hunting for several months, you just received a written offer from Superfluous Systems, Inc. It's a decent job and better than your current one, but it's not as exciting as two other jobs you're interviewing for, with Better Systems Corp. (you're in the final stages) and Dream, Inc. (you're about to have your second interview). Offers may be imminent from one or both. The Superfluous job would be fine with you, but you'd like to hold out to see what happens with the two other companies. The trouble is, Superfluous wants an answer by the end of the week, and neither of the other companies will be ready to make you an offer by then. No one said juggling is easy. This is a point where many job hunters get confused and rattled. Should you take the sure thing and cancel your other interviews? Or, should you let it go in favor of the uncertain but more attractive "two in the bush"? This is also the point where people begin to question their ethics. 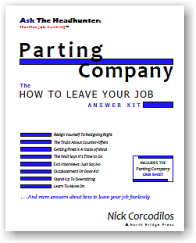 Would it be okay to take the Superfluous job, then quickly leave if one of the other companies delivers an offer? How can you juggle staggered job offers? . 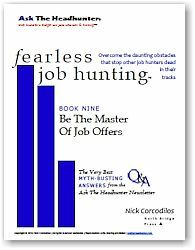 . .
You've just read a short selection of one of nine books that comprise Fearless Job Hunting! PLUS: 4 sidebars packed with advice to give you the insider's edge!